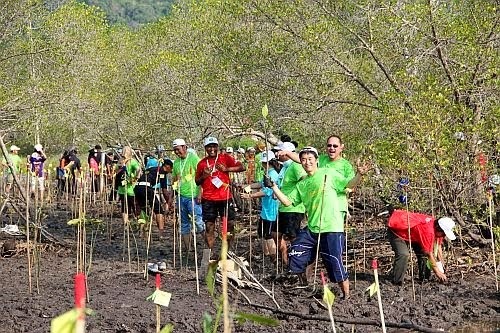 The 26th SIGA Langkawi was held with a big success! and study tours to learn about environment of Langkawi. Japan. His Excellency Tun Abdullah bin Haji Ahmad Badawi also showed his high interest on the SIGA and observed our planting activity. The next year will be held on April ​23-26, 2015 in Vietnam.SSEAYP International is looking forward to seeing as many ex-PYs as possible. See you in Vietnam!